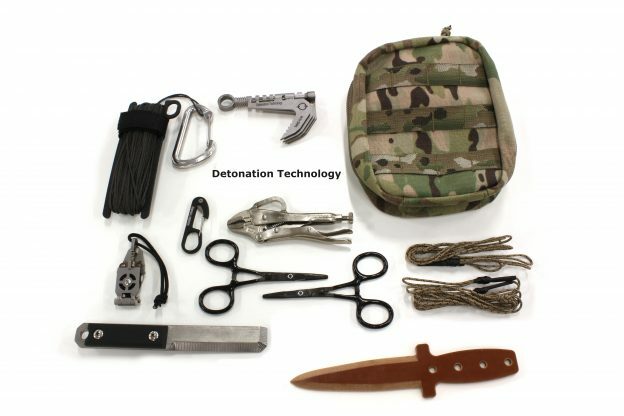 The EOD Assaulter Kit is made for the Tech or Bomb Squad member attached to a tactical team. This kit provides a versatile but compact remote pull capability along with an externally accessible digging/prying knife and non-conductive probe. Pouch is available in Multicam, Black, Coyote Brown, Olive Drab, and Wolf Grey.